The central province of Ha Tinh needs to invest more in building infrastructure in the Vung Ang Economic Zone (EZ), and create favourable conditions for businesses that are carrying out steel, electricity, oil refinery and petrochemical projects in the EZ. 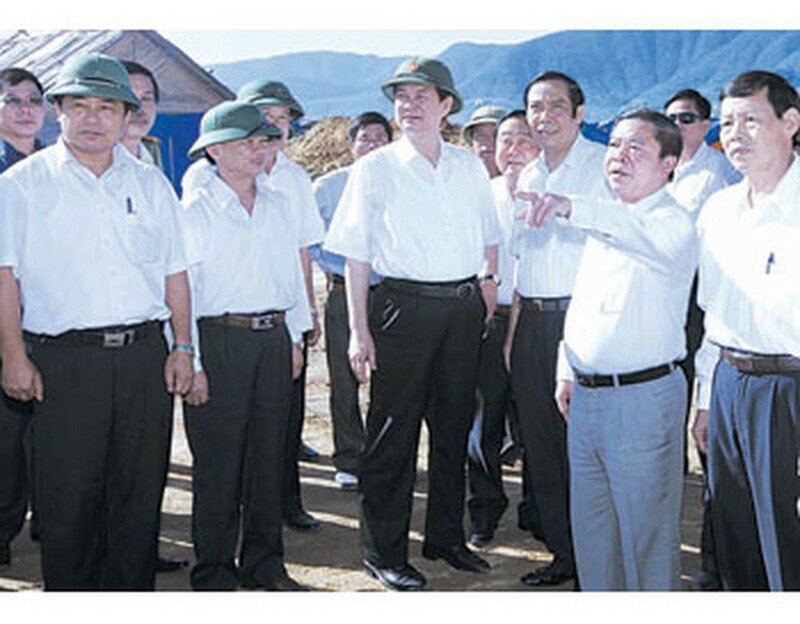 Prime Minister Nguyen Tan Dung made the request while working with the provincial leaders during his trip to Ha Tinh province on July 4, focusing on its socio-economic performances in the first half of 2010 and development directions for the 2011-2015 period. PM Dung urged the province to fully tap advantages of the Vung Ang deep-water seaport, as well as stepping up investment promotion and simplifying administrative procedures, to attract more investors to the Vung Ang EZ. Ha Tinh province must enrich itself from 6,000 sq.km, including 100,000 ha of farming land and 250,000 ha of forests, and a population of almost 1.3 million, he said, adding that it needs speed up the application of scientific-technological advances to cow breeding and rubber growing. The government leader asked Ha Tinh to upgrade and build more health care and education facilities, develop human resources, ensure social security and reduce traffic accidents. During the first six months of the year, Ha Tinh has seen positive progress in performing socio-economic tasks, with its tax revenue up nearly 37 percent year-on-year and capital disbursement exceeding 52 percent. 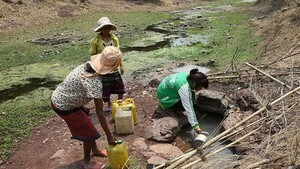 However, the PM also pointed out a number of shortcomings facing Ha Tinh such as low per capita income, which stands at 11 million VND a year, equivalent to just half of the nation’s average, a high rate of poor households and the socio-economic infrastructure’s failure to meet its development requirements. During his visit, PM Dung inspected the construction of resettlement areas and the tempo of major projects in the Vung Ang EZ, including the Vung Ang 1 thermoelectric power plant and the Son Duong steel complex and seaport. The EZ has so far attracted more than 90 projects with combined registered capital of almost VND200 trillion (US$10.5 billion).